It is very exciting to notice that Amikelive Adsense Widget 0.5 has reached around 1450 downloads after a month and one and a half week. My brain calculator says, there are around 35 daily downloads for the plugin. The number, despite still far from giga numbers, is frankly beyond my expectation. It is since the plugin is very simple by nature and the codes were created from scratch and tested for less than a day. I would like to extend my gratitude to users who have been using this plugin on their WordPress blogs by continuing the development and improving the features. Amikelive Adsense Widget 0.6 is now on the way to the public release. One incremental feature in this release is streamlined Adsense configuration of the widget. 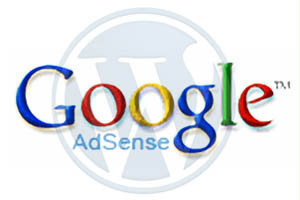 On version 0.5, users have to manually copy and paste several Google Adsense parameters into the form. While I personally think that this does not require much time, some busy users out there may feel happier if this process can be simplified. And yep, I hear you. The configuration will be as easy as flipping your palm. This version is scheduled to be available on downloads at WordPress from August 31st, 2010. So, stay tune! This entry was posted in Application and tagged google adsense, Wordpress on August 12, 2010 by Tech Admin. Thanks a lot for the widget. Is there any way the 0.6 version could have ads opening in a new window? That would be great for visitors retention.